Kathy is a devoted yoga teacher who imparts her radiant spirit and joy for life in her classes and workshops. Kathy discovered Iyengar yoga 30 years ago coming from a background of gymnastics and athletics. She gained her teaching certificate in 1991 and has since built up a busy business teaching privately run classes, together with teaching at health clubs and for the employees at a local business near her home town of Sevenoaks, Kent. Her classes will focus on breath, alignment and the interconnection between mind, body and spirit. She encourages her students to work at their own pace and ability in a safe relaxed environment with the aid of props in the form of belts, bricks and blocks. The classes on this holiday will be suitable to all levels of students beginners as well as those with more experience. Students will be offered a 2 hour daily morning asana class together with an hour of gentler practice in the early evening. Kathy Taylor also runs Yoga & Mindfulness weekends at Champneys Spa with Debbie Cooper. Kathy will teach the yoga element and combine her sessions with Debbie who will be teaching the mindfulness element. Debbie is a mindfulness practitioner with a diplomas from the Clear Mind Institute and the International Alliance of Holistic Therapists. She has been practising Yoga as a method of relaxation and well-being for over 30 years and more recently has embraced Mindfulness. She is passionate about helping people find some peace and quiet in their busy lives to allow them to feel more grounded, relaxed and energised. She has a wealth of experiences from a variety of workplaces both as an employee and as a company director and she has brought up three lovely children with her husband. Debbie provides balanced and practical Mindfulness sessions to help people address the challenges in their lives. Practising mindfulness helps people to acknowledge challenges which they may not have noticed before and allow them to turn towards their emotions in a kind and compassionate manner. Debbie facilitates weekly mindfulness sessions at workplaces. 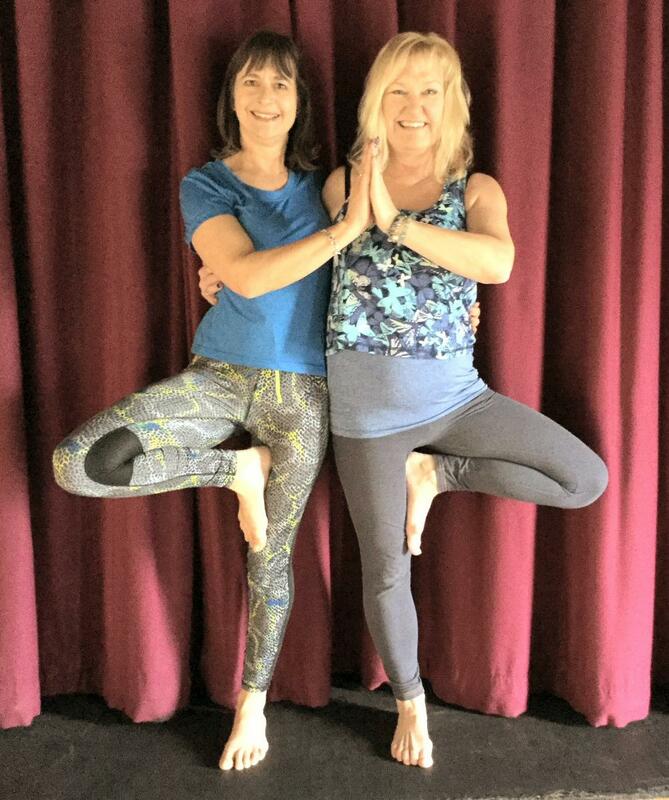 Yoga and mindfulness complement each other with greater awareness and presence being brought to the yoga mat and Kathy and Debbie will plan and deliver sessions combining both discipline. . This will be a relaxing yet energising weekend with plenty of opportunities to improve your physical and mental flexibility. The relaxing sessions will enable you to tune into your feelings and really listen to yourself resulting in finding your inner peace and centred calmness.